Ed. Note- Our Massachusetts football guru John Sarianides is back with five games to watch during Week 5 of MA high school football. Here are the biggest games of the week. The Hawks have gotten their defensive swagger back since a 22-21 week two loss at Bridgewater-Raynham a few weeks back. Xaverian has shut out Barnstable and Catholic Memorial in back-to-back weeks, and A.J Ryan and company will look to make the Boxers their third shutout victim of the season. Despite their struggles thus far this season, you can never count out the 2-2 Boxers. They can run the football and they are physical. They will look to pound the football and run right at the Hawks. Games like this come down to big plays. Whichever team can hit a couple of big plays and use them to generate offense, will win this game. It is easy to overlook the Boxers, but that would be a mistake. This is a rivalry game. Brockton will come to play. St. John’s Prep Head coach Brian St. Pierre has to be happy with the way his Eagles responded last week in a 34-0 win over Malden Catholic. It was a big win for a Prep team that has struggled early on this season due to inexperience. The Eagles are starting to play better, but it needs to show in games like this. Catholic Memorial hung tough with the X last weekend before dropping a 17-0 decision. Offense has been a strength for the Knights thus far this season, but the offense was nowhere to be found against Xaverian’s stout defense. This will be another tight Catholic Conference game. Both teams will look to pound the ball and control the clock. I think the team that throws the ball the best and makes big plays down field will win this game. You have to give the edge to the Prep in that area. 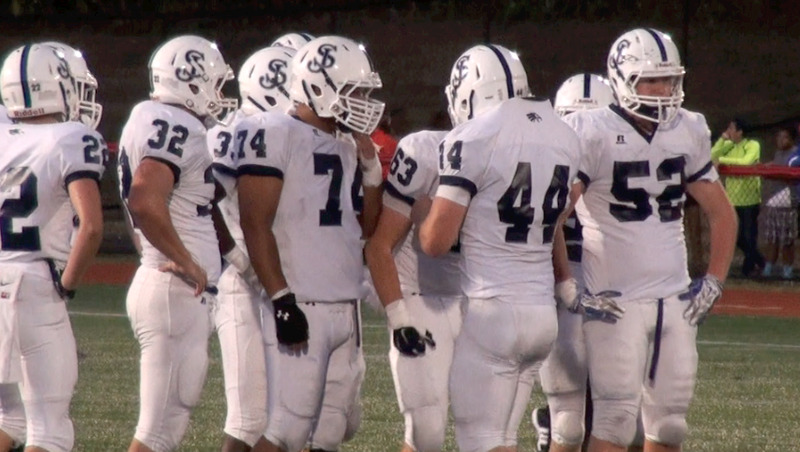 The Trojans are still flying high after their upset win over Xaverian two weeks ago. That, and the return of coach Dan Buron, has reinvigorated the Trojans after a tough opening weekend loss to Duxbury. B-R plays a physical brand of football, plain and simple. They’ll pound the football out of 21 personnel (2 WR’s, 2 RB’s, 1 TE) and they’ll pressure offenses out of their multiple 40 defense. Dartmouth uses a similar smash mouth approach, but the Indians do things a little differently. Instead of lining up in the I-Formation, the Indians will use a two and three back pistol formation and run the ball inside the tackles. It’s no secret what Dartmouth wants to do. They want to pound the ball and set up play-action. Tight, physical games like this come to down to defensive stops. Whichever defense can get stops in the fourth quarter, will determine the outcome of this game. B-R ended Xaverian’s state-best 24-game winning streak earlier this season. Let’s see if the Trojans snap Dartmouth’s 12-game streak tomorrow night. Check the bulbs on the scoreboard at Duxbury. A couple of them might burn out after this game. This could be a high-scoring affair. Both teams can really score. Silver Lake is averaging 33 points per game, while Duxbury is averaging a whopping 46.5 points per game. For the Lakers, it’s simple- Find a way to slow down the state’s number one offense. The trio of quarterback Bobby Maimaron, wide receiver (and recent Harvard commit) Ryan Reagan and Devin DeMerritt form an unstoppable three-headed monster that can make plays on the ground and through the air. Silver Lake won’t stop them, or contain them for that matter, they just have to slow them down. The Lakers will have to do the best they can to keep up offensively. Quarterback Alec Snell has to match Maimaron throw for throw if the Lakers want to have any chance at pulling off the upset. Duxbury is giving up less than two touchdowns a game, so it could be tough sledding for the Laker offense in this one. Either way, this Patriot League showdown has the potential to be a great game. Wellesley-Walpole is one of the best rivalries in the Bay State League. 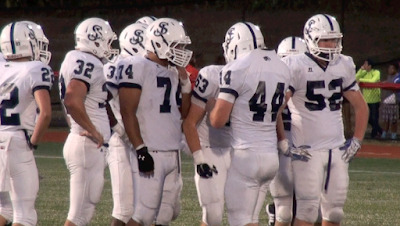 Wellesley beat Walpole last season, so the Rebels will be looking to avenge that loss. Walpole is coming off a dominant 14-0 win over Norwood, in which the Rebels defense only surrendered 85 yards of total offense. Speaking of dominant performances, Wellesley’s defense has been dominant. The Raiders have only surrendered 13 points in four games thus far this season. That, and a versatile offensive attack, have the Raiders at 4-0 and third in Division 1A South. Games between these two teams have always been tight, back and forth affairs, and despite Walpole’s struggles this season, I don’t expect this one to be any different. Look for a 21-14 type game. It’s hard to pick against the Raiders, but having coached against Walpole for years, you don’t just pick against the Rebs.